Instructions for connecting to an Engineering College department printer. These instructions do not apply to Engineering Workstation (EWS) labs. For an overview of printing at the Engineering College or instructions for non-Windows operating systems, see Engineering College Printers. Written steps are provided below the video. 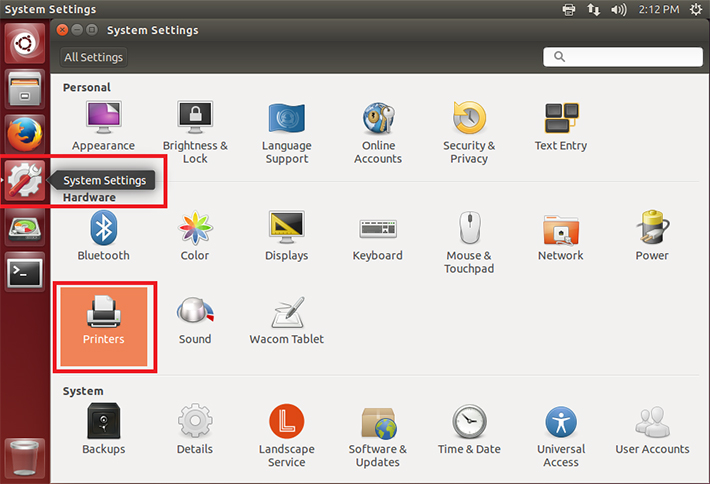 Click the 'gear and wrench' icon to open 'System Settings'. 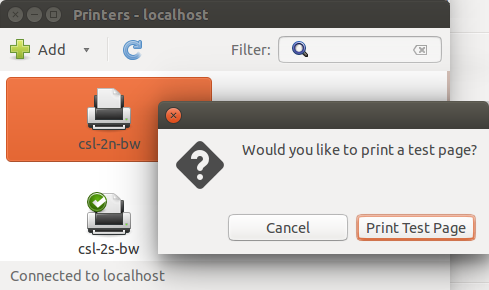 In the 'Printers' window, click the '+ Add' button. 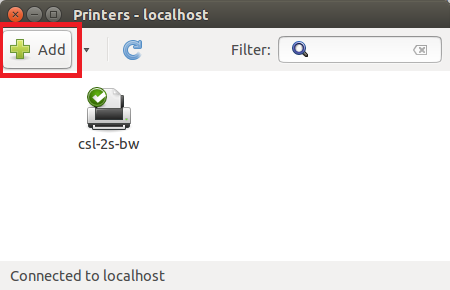 In the 'New Printer' window, under the 'Devices' list, select the 'Network Printer' dropdown. 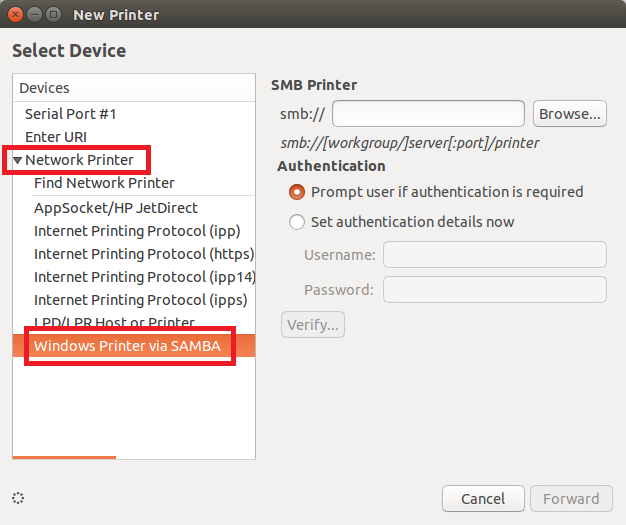 At the bottom of the expanded list, select 'Windows Printer via SAMBA'. Do not click 'Verify...'. This usually doesn't work until the printer has been fully added. You will be prompted to choose a driver. The images below show the correct driver for the common CSL hallway printers. Select the appropriate manufacturer and click 'Forward'. Select the appropriate model and click 'Forward'. 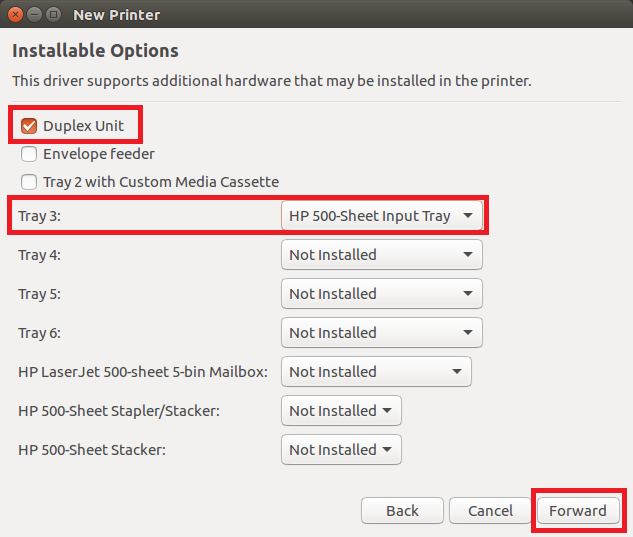 Configure the driver options as shown below. Select the 500-sheet option for Tray 3. 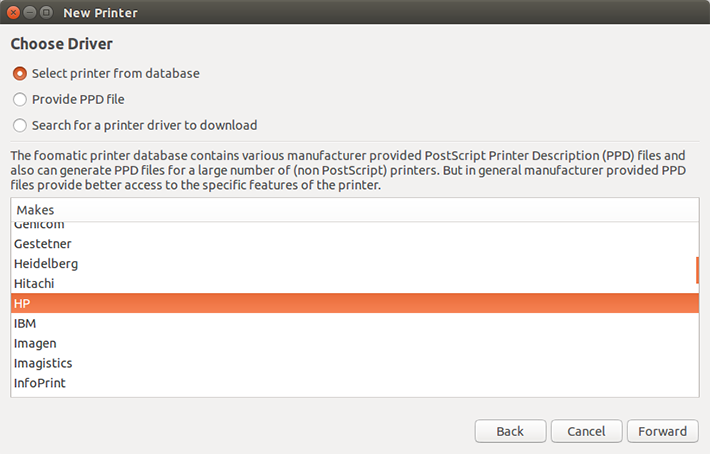 Make sure not to select options that the printer itself does not support. Configure the description similar to the below image. 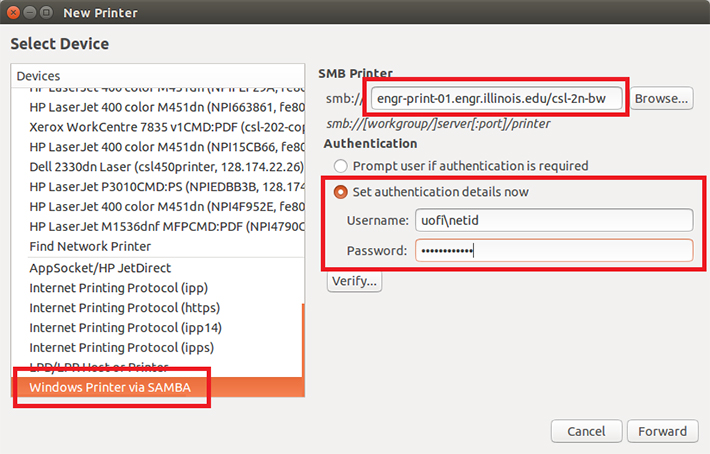 These fields determine what the printer will show up as in your applications. 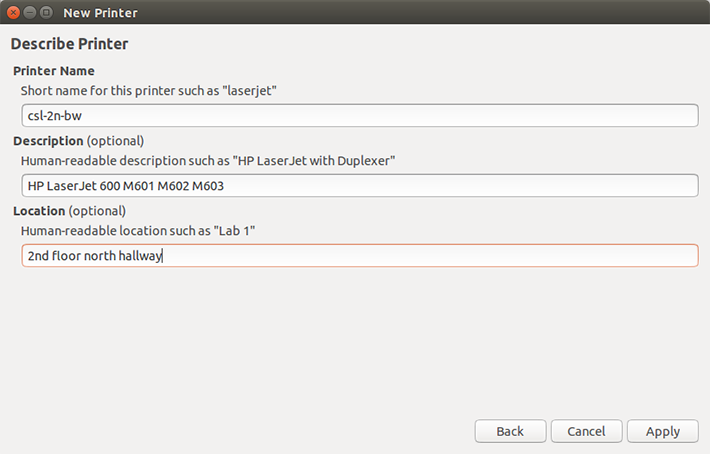 Choose descriptions that let you easily identify the printer. Your printer will now be listed in the 'Printers' window. 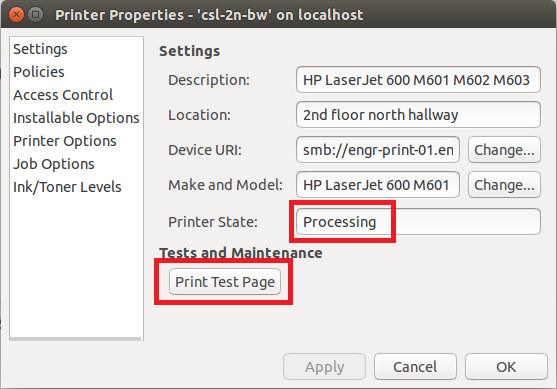 You may be prompted to print a test page. Sometimes the test page does not work the first time. If so, you may open the printer's properties and try again. 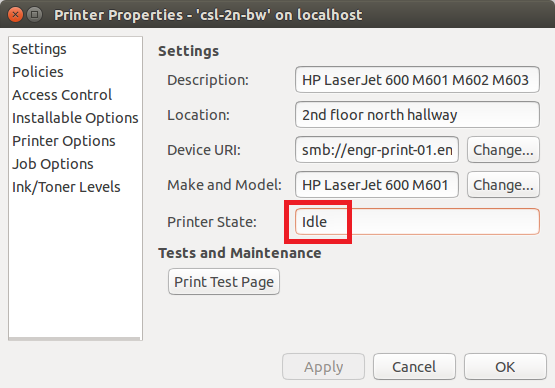 If the test page was successful, you'll see 'Idle' in the 'Printer State:' field after the test. If the test page failed, that field may show an error, which can be useful in troubleshooting. 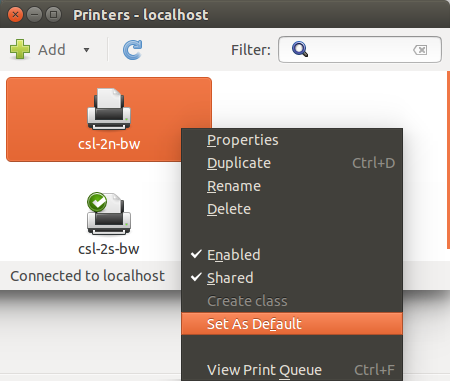 You can set the printer as your default by right clicking it and selecting 'Set As Default'. Our ability to support multiple Linux ditributions is limited. See the following resources for possible support for your unique distribution.